For Odyssey Key Chain ..
1. Oversize Pins: Traditional chain pins are 3mm in diameter. The Key Chain’s are 5mm, and they..
BMX Stroke Light Half Chain- 1/2" x 1/8" Black by Eclat .. 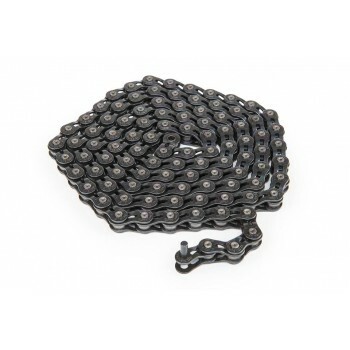 The Diesel chain is our very own hard wearing motorbike style chain, comes with a half link so you c..
BMX Stroke Light Half Chain- 1/2" x 1/8" Silver by Eclat ..